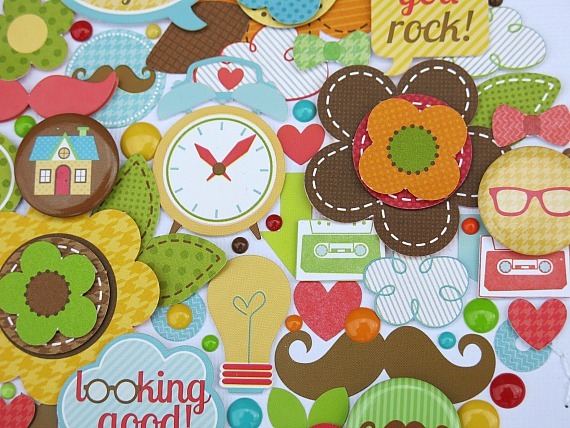 Oh my goodness, we love how Melinda can take all her left over embellishments and create something amazing. We have had so much fun featuring the new Day to Day Collection this past week that we couldn't wait to share this one and announce our WINNERS (scroll down to see if you're one of them). Melinda says she has really fallen in love with the whole concept of collage style scrapping and has again created another centrepiece for her project using all the gorgeous Day to Day embellishments. 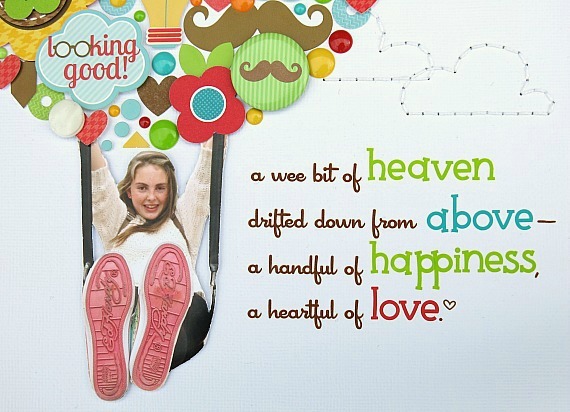 Melinda has added a Doodlebug Expressions rub-on verse as her heading and completed the whimsical theme of the layout by deep-etching the photograph and hand stitching cloud clusters. Please email us your shipping information at doodlebugdesign.blog@gmail.com by Wed. Sept. 18th to claim your prize. Please put in the subject line of your email "Home for the Holidays Collection". Thanks for your continued support!! Melinda, this LO is amazing! I LOVE that picture of your daughter and the verse you chose is just perfect! This is just a super fun layout! Love it!! And Yay! Thanks for picking me!!! Melinda, you never stop amazing me! Such a great layout! Besides the obvious focal point, I also really love your saying that you've added with rub-ons and stickers (I have so many of these rub-ons that are going to go bad so I like the reminder to pull them out). 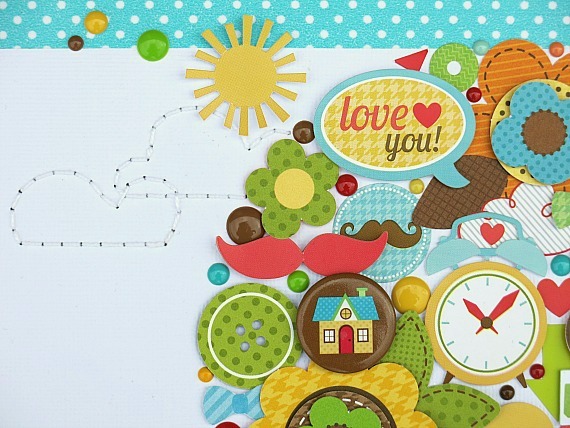 This collection is so darn cute and your layout design is creative, fun and unique!! Love it! Also off to email you and am thrilled to have won!! Congrats to the winners. What a fun layout and so clever. Thanks for sharing. Awesome LO, congrats to the winners!!! Melinda this is soooooo awesome! Going to pin it! !